They claim to be fully compliant with Microsoft's licenses and all their assets are made from scratch. I would actually love to be able to play this, so I really hope Microsoft don't suddenly get militant with them. With all their assets being custom made, hopefully that will never be an issue. I spent many, many hours playing various Halo games over the years as the gameplay really is damn fun. It's looks great. Nice and great Grafics. wtf . Is this a dream!? "Halo", on pc, with Linux support ! Something microsoft founded that was great for once, up until the 4th halo game . Im hyped for this one! Would gladly pay alot of money for this! Wow, those guys are in a dangerous spot. Halo is a cash cow for MS and they will send lawyers to trow briefcases at then, if they're feeling that the Halo name are in danger. Especially if the game became really popular and fans start to make comparisons making MS games look bad. I know that Nintendo would have sent letters to then already if this was a Mario themed game. As for this game, I'm not a Halo fan but this look really nice, especially if they could introduce a FOV slider in the settings, because the main reason I disliked Halo was the "sniper FOV" of the original Xbox games. Very nice to see such a project. I had heard about one using the source engine, but this one looks promising. I would be willing to help, if that's not a completely closed project. I still remember my Halo CD key! The Halo universe isn't amazing, by today's standards, but it was one of the most coherent and realistic ones at the time. And the gameplay was pretty revolutionary as well. It is, however, a very slow moving project. 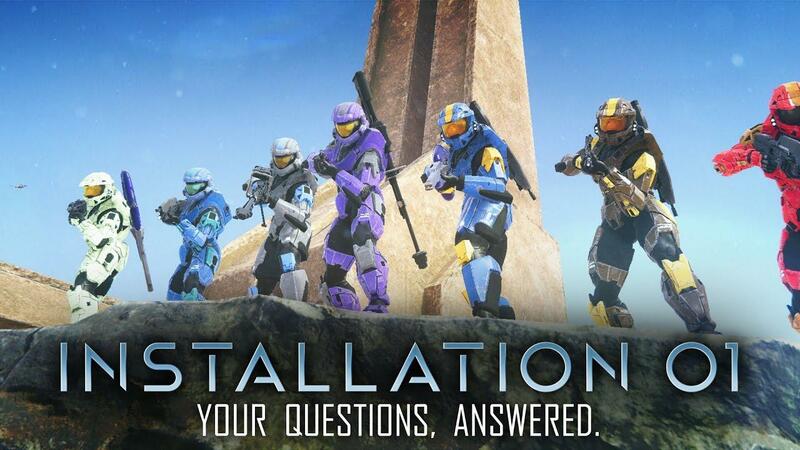 Installation 01 was announced with plans for Linux support two years ago. "it will be released on windows, mac and other PC platforms". Why on earth did they pronounce "Linux" like that? This looks awesome!, Def gonna play it if Microsoft doesn't shut it down. Looks cool. It would be a shame if all their work ends up being wasted. It makes me wonder why they didn't go for something similar to Halo with all the same mechanics and similar aesthetics, whilst not being an obvious knockoff. That would even be more appealing than 'Bootleg Halo' imo. I wish them the best though.